Stargate Crewing offers complete 360-degree crew manning coverage for all types of vessels, achieving higher quality standards with each passing year through stringent quality control measures and better relationship management with all crew. Our seafarers are like an extended family and we take care to build close and strong ties based on addressing mutual concerns and growth needs. No wonder we have some of the highest retention rates in the market and a very high promotion rate for our officers. For each client, make the effort to understand their manning requirements and then tailor our services to meet those needs. We go a step further from what other agencies offer by not only concentrating on recruitment and retention, but also planning, engagement, and career development. Our office staff collectively have decades of professional experience in crew selection, HR management, maritime labour regulations, training, payroll and finance expertise, and we can take on any fleet size under our wings and create suitable manning solutions for them. 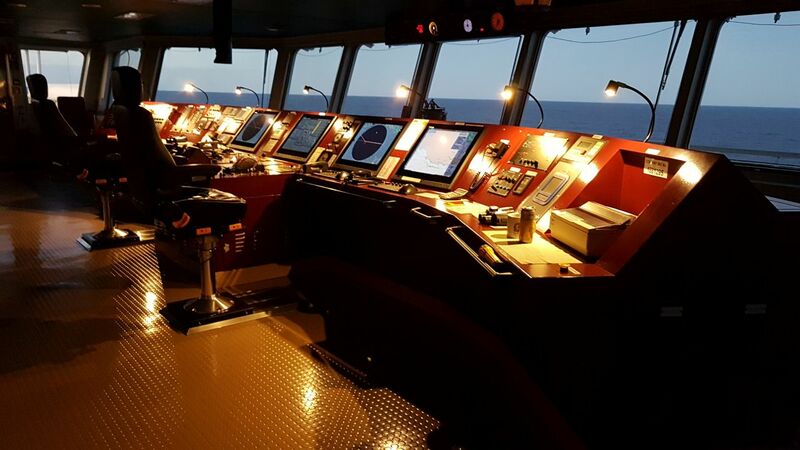 Since manning is of critical importance to the client’s daily operations, Stargate provides quite a few services that add value to and help reduce the client’s expenditure in crew management functions. Personnel database: We have a 20,000-strong database of active seafarers, most of whom are under 48 years of age, and we have four full-time staff in our office continuously engaged in data verification and updating of crew database. Considering the number of man-hours we spend on compiling and maintaining our database, and the fact that our database is compiled after careful pre-selection of candidates, we reduce costs and time for every candidate. Selection & recruitment: Picking up the right candidate for an opening involves engaging considerable resources on the part of the crew manning agency, including job advertising, application screening, candidate interviews, final selection, and briefing. All candidates are put through a stringent verification and authentication process before being sent forward for personal interviews. Each principal comes with separate technical, financial and cultural criteria for new personnel, and we deliver solutions that are best suited to their operational requirements. Briefing & debriefing: Appropriate briefing and debriefing can be critical to the success of a seafarer’s on-the-job performance and willingness to return to the same vessel or employer after completing a voyage. Briefing should begin as soon as the candidate is selected, though it is not always possible to have more than a single session of pre-embarkation briefing unless insisted upon by the client. Proper debriefing helps put onboard events and experiences in perspective and prepares a seafarer to understand what can be shared with people back home. Briefing and debriefing is always accorded the utmost importance at Stargate Crewing and often conducted by our Managing Director himself or a couple of the senior executives. Visa & travel arrangements: Stargate maintains close relationships with embassy staff in Bucharest and procuring visa at short notice is one of the many travel related services we provide for our seafarers on a regular basis. We also provide air ticketing services for destinations worldwide through partner travel agencies, who have been working with us since we started. Airport taxi services are also available at short notice for crew flying out of Romania on a voyage or returning to Romania after completing a mission. Crew relations: We have always worked by the philosophy that our crew is our family and we treat every one of them like we treat our near and dear ones. We care for them and stand by them in times of need. When a crew member experiences a personal crisis, whether it is on board during a voyage or at home during shore leave, we provide every possible support to ensure that they remain stress free and focused on their coming assignment. Competency mapping: Stargate maintains its own standards of personnel appraisal and competency mapping quite separate from the mandatory certificates that seafarers are required to obtain for their skills. This is based on employer feedback, co-worker appraisal, performance reports, social reputation, training scores, etc. Our records are frequently referred to advise candidates on where and how to improve their chances of consolidating their career track. We also advise clients on how to assess and accommodate individual candidates. Training: Stargate has adequate conferencing and training space and facilities in its office to conduct training for up to 15 people at a time. We can provide high-speed internet access and video link for conducting remote training from a principal’s headquarters or another location. For training sessions with more than 15 people at a time, we arrange larger training facilities available in the city close to our office, as well as satellite video conferencing facilities for remote training.